Other than the previous cat series items, San-X also released a few limited edition items with it. 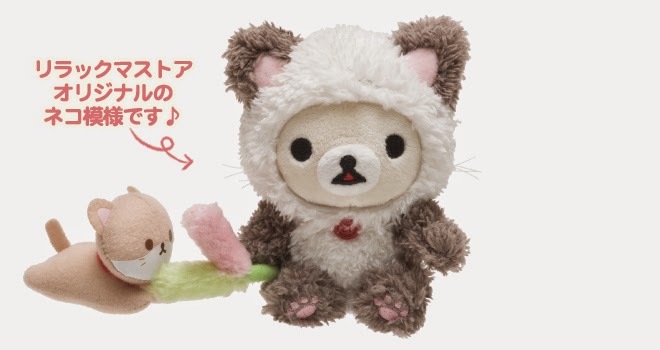 Korilakkuma does not have an additional toy like Rilakkuma or Kiiroitori. It seems that Korilakkuma is playing with the cat at a distance. The colors of Korilakkuma's suits also look perfect on her! 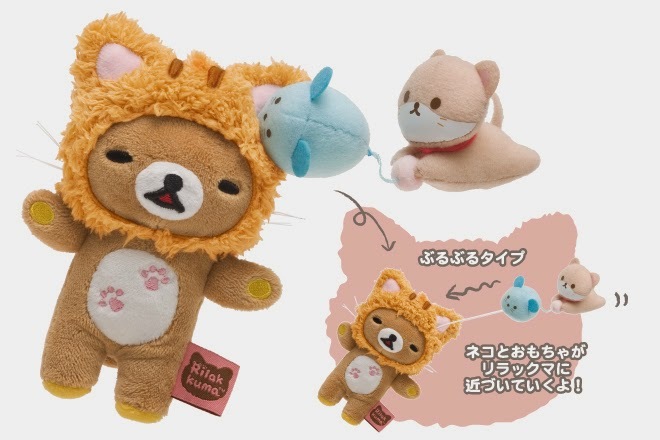 Similar to Rilakkuma, Kiiroitori has a cat toy that can move away and come back to him. The cat seems to be hiding at Kiiroitori's back. Another different point in this series is the cat silhouette pink tag! They will be sold at all Rilakkuma Stores in Japan from 4th Oct 2014 onwards. Meanwhile, we will try to get some on our paws for you guys too! Please keep a look out on our Facebook or web store for more details! Look at how cute they are in real life! 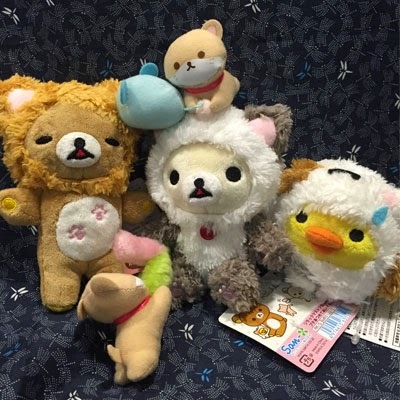 Pre-order is now open at www.buyrilakkuma.com! Whilst stocks last!